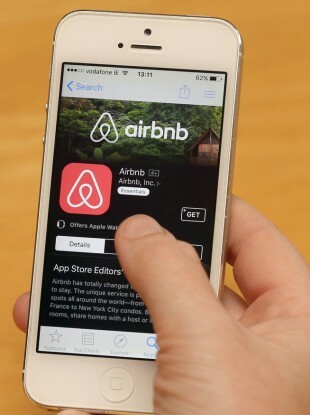 A NEW BILL which limits the time a person can rent their property on platforms such as AirBnb to six weeks has been drafted by Labour Senator Kevin Humphreys. It aims to follow in the footsteps of other major cities such as Berlin, Amsterdam and London, which have all clamped down on the use of Airbnb. This week, the Oireachtas Housing Committee heard that short-term rental companies are having an “adverse effect” on the rental market in Dublin. There was criticism of Airbnb, which allows people to rent rooms or entire homes for short periods of time, and which is seen as further reducing the supply of rental properties for people living in Dublin. In figures presented by Dr Daithí Downey of Dublin City Council (DCC), it was shown that almost half (48%) of the Airbnb rentals within the Dublin city limits are available to be booked for more than 90 days of the year. These 2,581 listings are identified as ‘high availability’. Of these, 1,375 are listed as entire homes or apartments. DCC says that it will now commission a study to report in October to make recommendations on the issue. Humphreys’ Bill stipulates property owners will only be permitted to let their apartment or house for short-term use for a period of six weeks during the year. It will also make it mandatory for all short-term letting companies to sign up to a register which will list all the properties they have on the books. Similar regulations are being discussed in Toronto, while some UK councils have said restrictions have been ineffective to date. “The maintaining of a register is essential as it will prevent homeowners from jumping from one letting platform to another, which will allow people to supersede the regulations. It will also allow planning enforcers easy access to what properties are being let,” said Humphreys. The Labour senator said this is the only way to ensure owners will not simply use multiple platforms to rent out their properties for longer than the allowable time. Companies that don’t maintain a property register will be subject to a “Class A fine” not exceeding €50,000, states the Bill. Humphreys was critical of the Housing Department for proposing short-term rental companies should merely sign-up to a “memorandum of understanding”, stating that this self-regulation has been introduced in other countries and failed. The Housing Department told the committee this week it is in ongoing discussions with Airbnb about establishing such a memorandum. “In the discussions with the department, Airbnb expressed its concern at the potential loss of supply to the rental sector and have shown willingness to work with the department to develop a collaborative plan,” the Department of Housing’s Earnán O’Cleirigh told the committee. “Discussions in this context are ongoing and if successful are intended to form the basis for putting similar arrangements in place with other online platforms. The department’s joint commitment with Airbnb is to co-develop protocols and processes to facilitate home sharing while preventing unwelcome and unauthorised rentals being advertised on the Airbnb platform,” he added. Humphreys, who has been campaigning for the industry to be regulated, told TheJournal.ie that he has been “chasing [Minister] Simon Coveney for over a year to regulate and legislate”. The issue with regulating the sector is due to short-term lets not being defined under the law. Humphrey’s new Bill does include such a definition, he said. Seven months ago, An Bord Pleanála upheld a ruling that a property owner in Temple Bar required planning permission to continue renting the property out for short-term lets. The Housing Department sent out a circular to all local authorities urging them to enforce the regulations. However, it was confirmed in the meeting that nobody has been prosecuted under the same laws used to make the ruling against the Temple Bar property owner. The Bord Pleanala decision was to be welcomed, said Humphreys, but added that legislation should have been introduced to underscore the court’s decision. “The government hasn’t moved on it.” he said. When other countries, such as Berlin, introduced similar laws almost 40% of housing stock returned to the market, claimed the senator. “We could get over 2,000 units back in use in a relatively short space of time,” he said. He said the reason why the issue has not been tackled to date is because the short-term rental market and the likes of Airbnb have been filling a gap due to the shortage of hotel rooms around the country. However, he said it was time to make a choice between the tourism sector taking a hit (which Humphreys admits this Bill could do) or to get families into apartments and houses. Coveney failed to deal with this during his time as Housing Minister and I am now calling on Eoghan Murphy to find a way to act quickly. The Labour senator said he is open to his Bill being taken on as a Government Bill, stating that he “is not precious about who pushes the Bill through the Dáil”. From London to Berlin, they all had to take steps to control the short-term let market. We have to ensure that if it’s zoned as residential, it stays as residential. Email “New Bill seeks to limit Airbnb rentals to six weeks per year”. Feedback on “New Bill seeks to limit Airbnb rentals to six weeks per year”.